I felt like a champion even making it to Istanbul. Days in transit often have that effect, like you are nowhere. I crossed Budapest by train and then bus, spent my last euro cents and forints, combined, to buy a postcard and then sat at the boarding gate suddenly feeling very peckish and rather vulnerable at having no credit card and no useful currency until turkey. 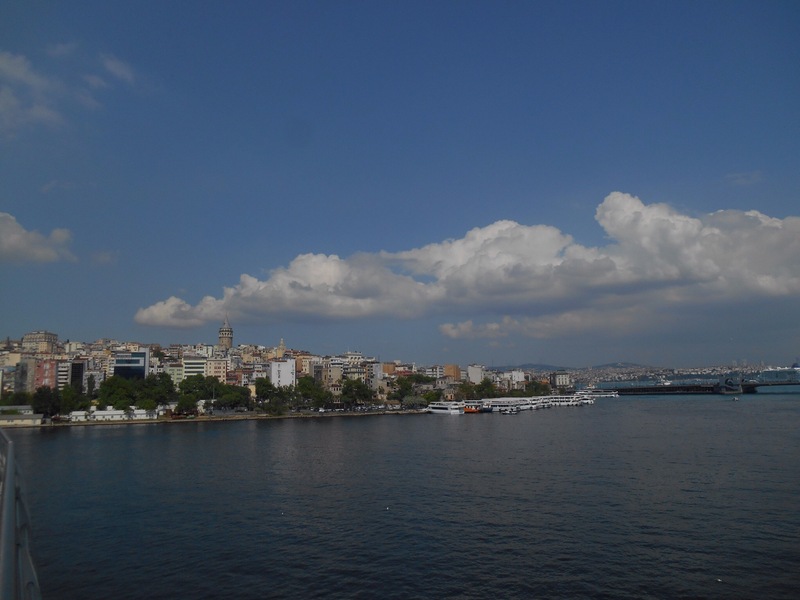 After a short flight, an hour jump forward, I boarded a bus as I was assured I needed Taksim, however an hour into the journey, it began to feel like maybe Istanbul airport should be closer to the city. Sure enough after nearly an hour and a half and a short walk I was at the metro. Taksim is a big centre and was filled with lots of police, a site of a blast a few months ago. It was a bustling centre and I was looking forward to not being in transit anymore. I probably asked 20 different people to get me from the square to the metro, to the tram, to my hostel, sometimes things as basic as how do I buy a ticket, where do I put my ticket. 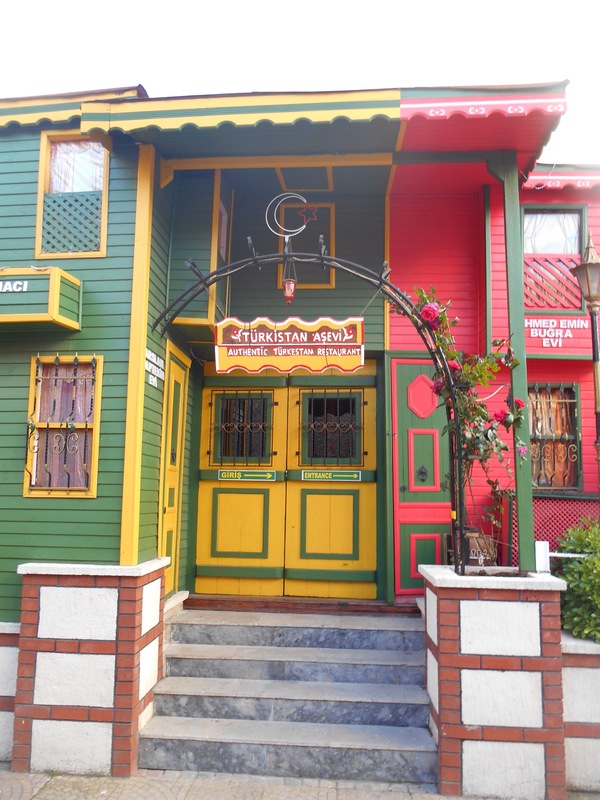 When I got to Sultanahmet it was only a short six floors of stairs to climb to get to my hostel, but immediately I was welcomed with Turkish hospitality. I made a cup of coffee and looked out at the view. 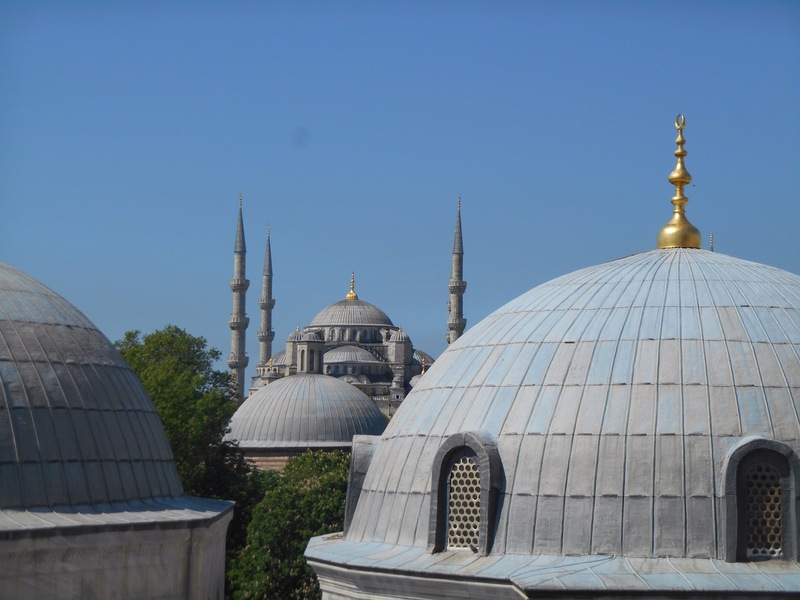 The blue mosque and Hagia Sofia were metres away, the towering turrets of the mosques forming the skyline with the Bosporus sea beyond. It may have been a whole day of transit, but after a quick sit I was keen to walk around. 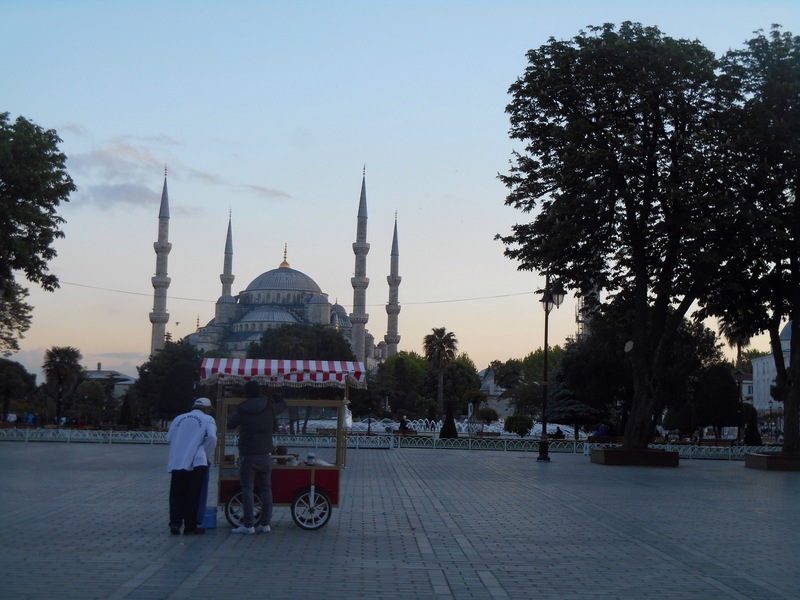 Still light outside, I made my way first to the imposing blue mosque. 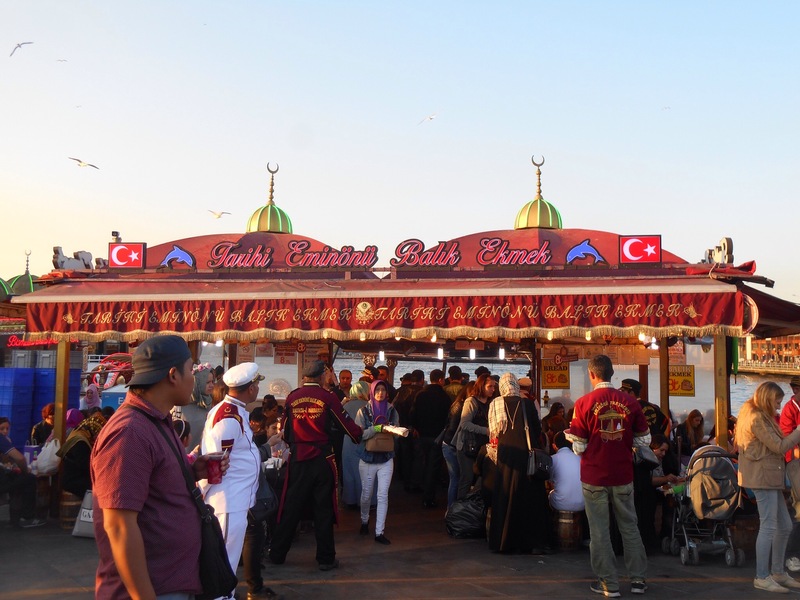 The recent blasts in turkey seem to have hampered tourism a bit, certainly the season has not started in quite the same way and thus the sellers are keen to get you to spend. Every restaurant has one or two people thrusting menus at you and trying to pull you in. Others stand conspicuously telling you you’re going the wrong way or asking if they can just ask you one question. The result is my slow meander turned into more of a determined march. The currency is Turkish Lira and it is about 3 to the pound. Everything is very affordable. 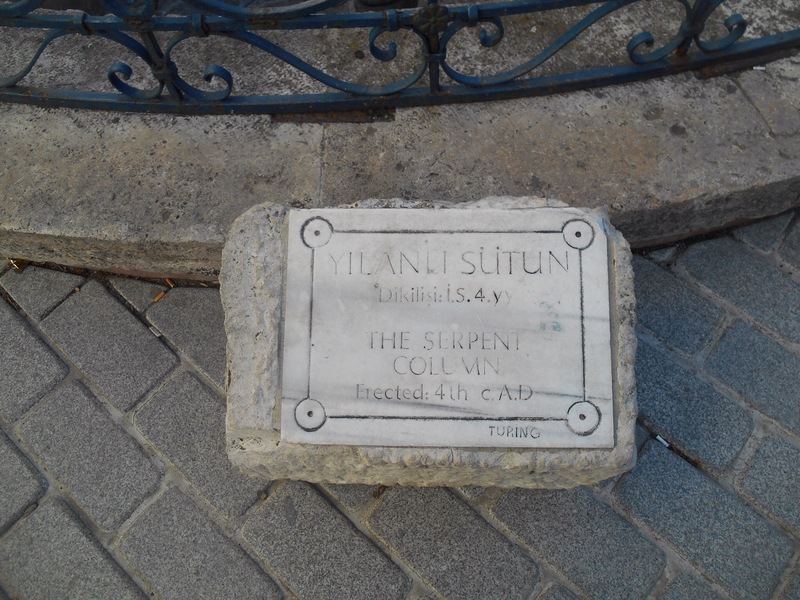 The whole area of Sultanahmet was once home to a huge hippodrome, much bigger than the colosseum, constructed in Constantine’s time when Constantinople was head of the Roman Empire. 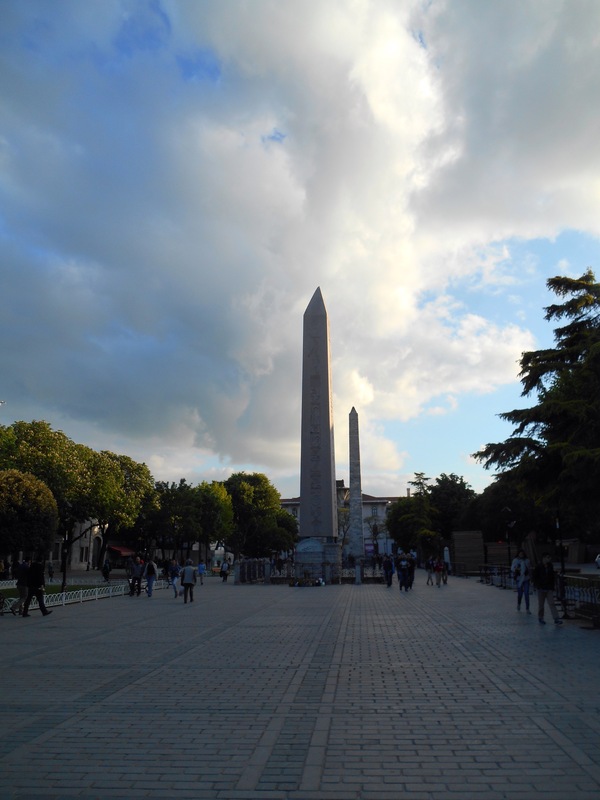 Obelisks of historic importance still stand, the first 3500 year old Egyptian obelisk. Because of its granite stone, it looks clean and almost as perfect as if it were young. 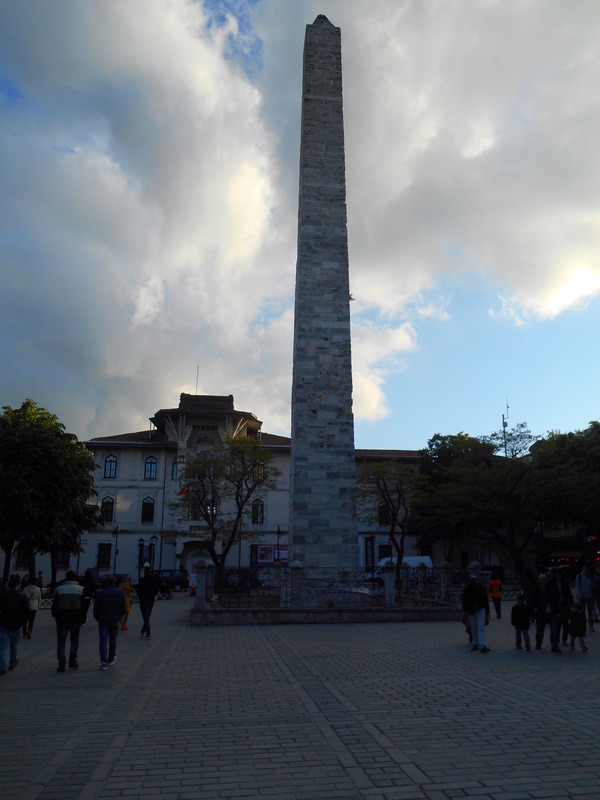 It sits on a marble and much more weathered base which has pictures depicting how the obelisk was hoisted into its current position. It was quite overwhelming to think about the history of those hiroglifics metres from my bedroom. 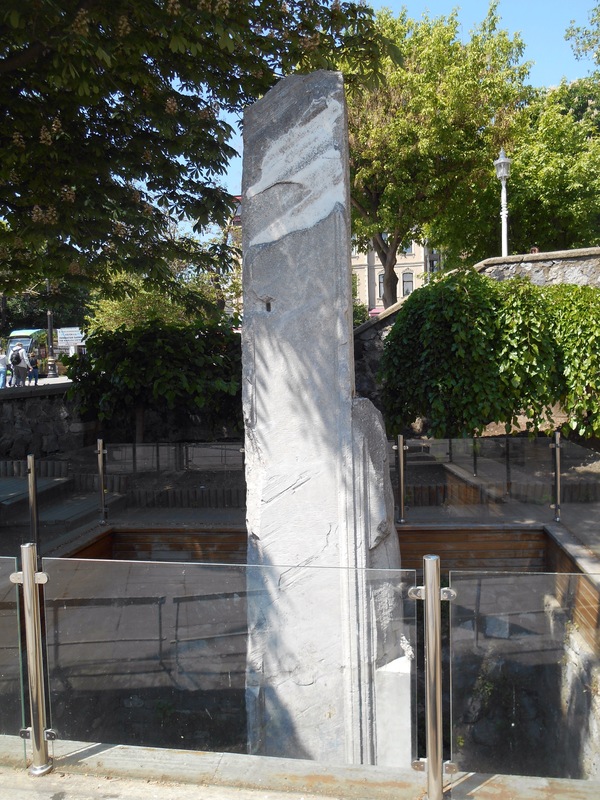 There was also another obelisk from the time of Constantine. 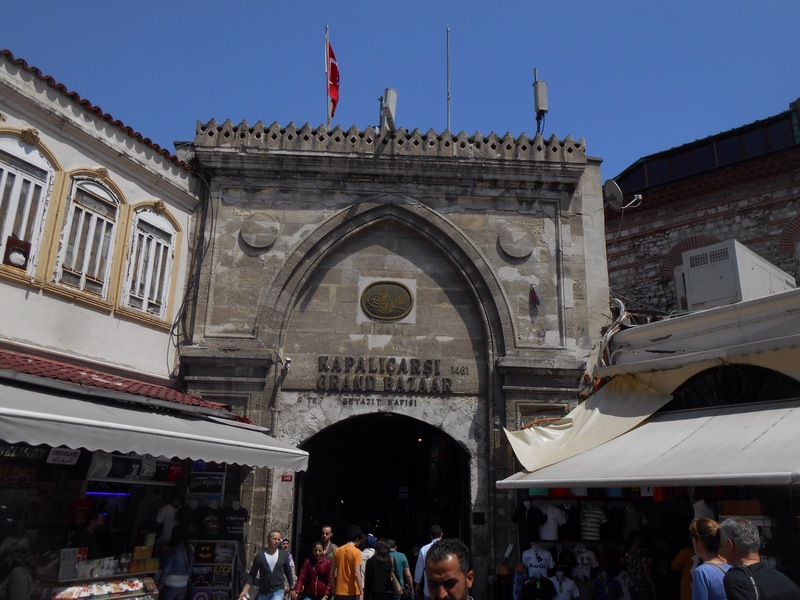 I walked through the grounds of the blue mosque and out onto the cobbled streets beyond, circling the Topkapi palace and marvelling at how historic this area is. There were several more attempts to get you to follow people to bars or drink apple tea so whilst it was easy to decline, it was easier to return to the hostel and watch the sundown from the beautiful balcony at the hostel. Much later on with an itinerary of challenging proportions devised for the next day, I headed out with one of the Turkish workers from the hostel to see eat at a local restaurant. For a starter we had lentil soup followed by sharing a variety of vegetarian dishes and breads. Of course we rounded off the meal with apple tea and paid £3. He took pleasure in sharing a bit of information about the buildings on our walk. 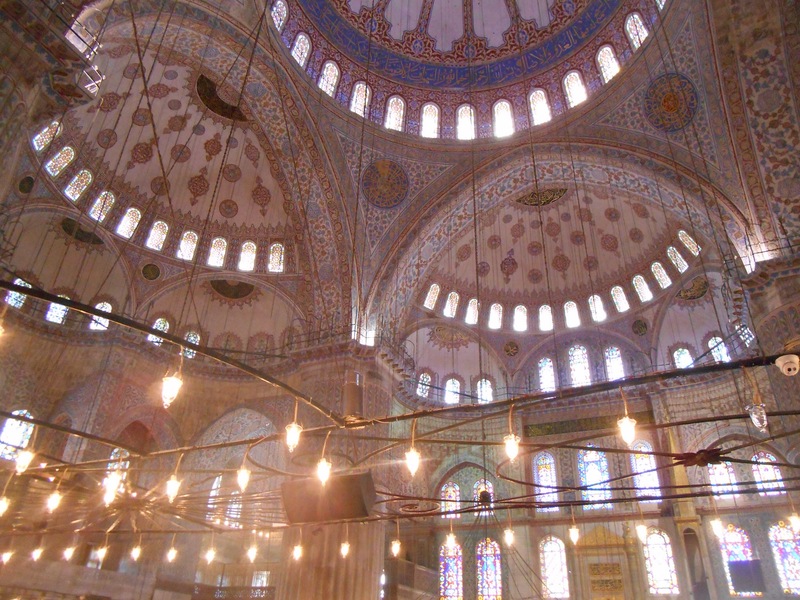 The last magical sight of the night was the birds hunting in the light illuminating the blue mosque. Breakfast at the hostel was Turkish tea or coffee, bread, tomatoes, feta, olives and egg, a much more Mediterranean start to the day. With only one full day to absorb this city, I braced myself for a lot of walking and absorbing. 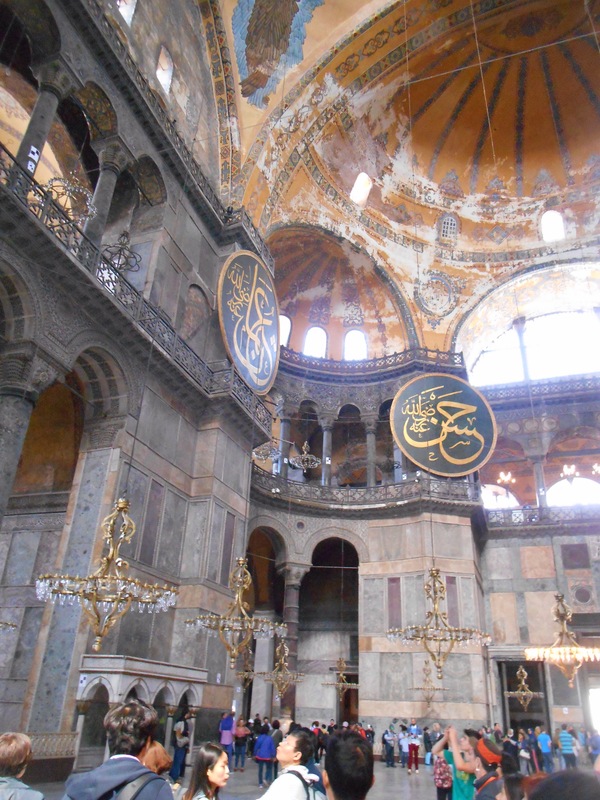 First I went to Hagia Sofia, well actually first I ended up in a spa called Hagia Sofia. 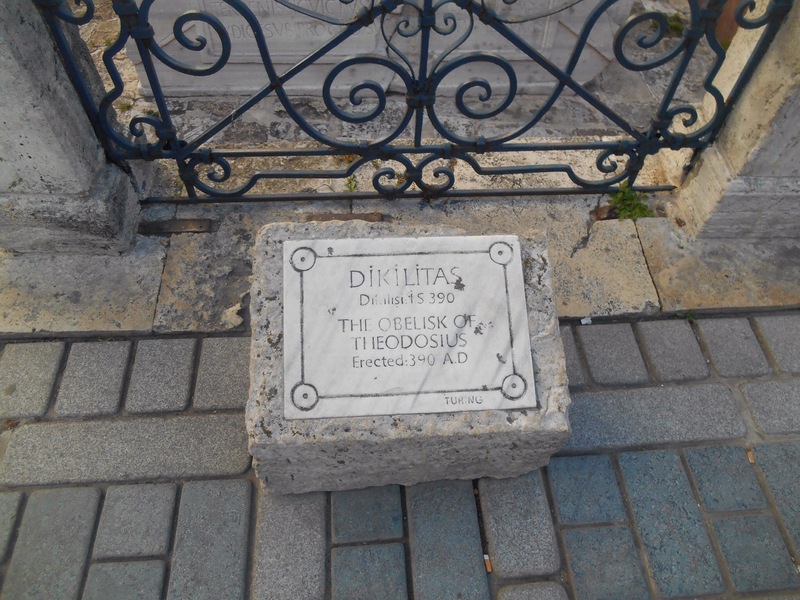 Even though the Turks are famous for bath culture, I was slightly confused as to how the most famous attraction was a spa. No, redirected I headed to the large religious house, once a church and now a mosque. 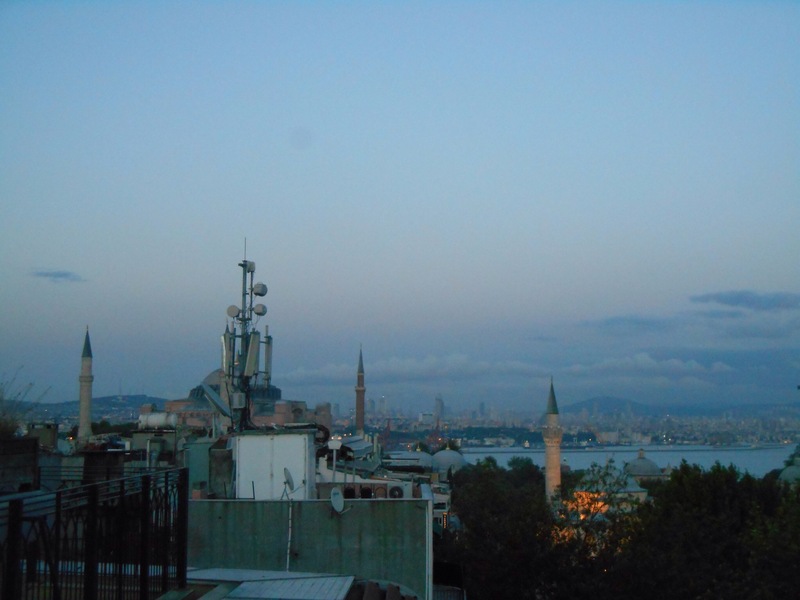 Istanbul’s history just dwarfs other cities. 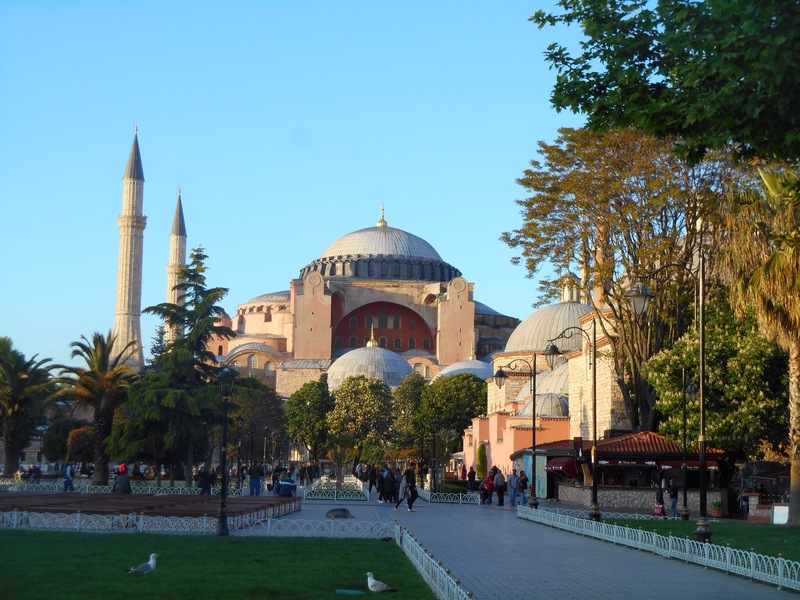 Hagia Sofia is the third temple on a site which was once a tribute site of Emperor Constantine in 303. It was followed by a temple of Theosodite but when that was destroyed in the 6th century, the current temple was rebuilt. It was a Christian place of worship until the arrival of the Ottoman Empire in the 15th century where it became a place for Islam. 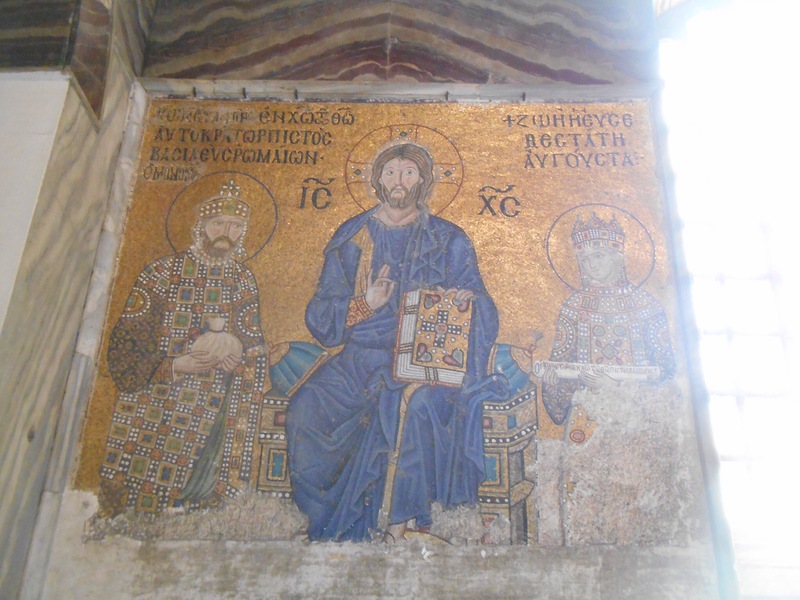 In the 20th century much of the original mosaics and intricate artwork of the original Christian place of worship were uncovered and so now if displays both. Mary and Jesus are next to Islamic teachings, the Angel Gabriel on the roof. There was a ramp up to the second floor, a cool stone passage that wound up and up, incredible to think of people using this centuries ago. 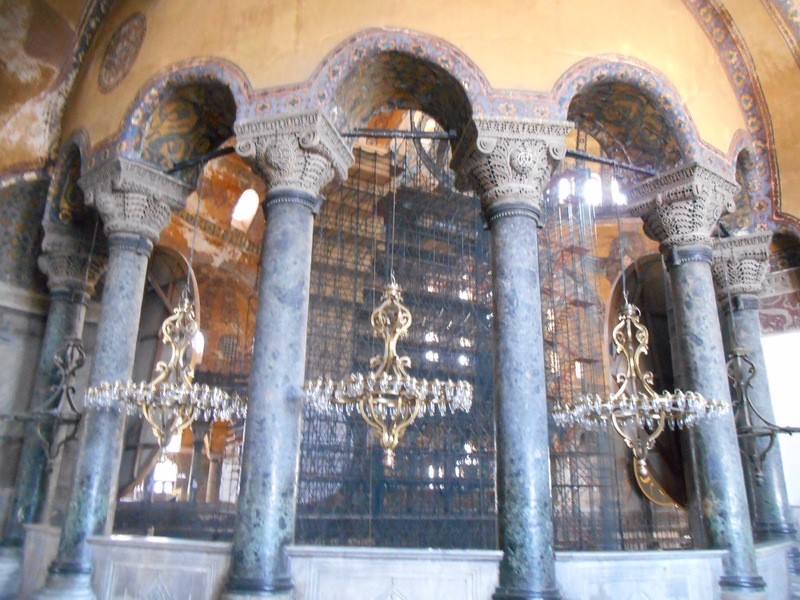 From the balcony, elaborate archways gave view to the worship space below and an original marble door from the 12the century still stood, separating of the priests quarters. 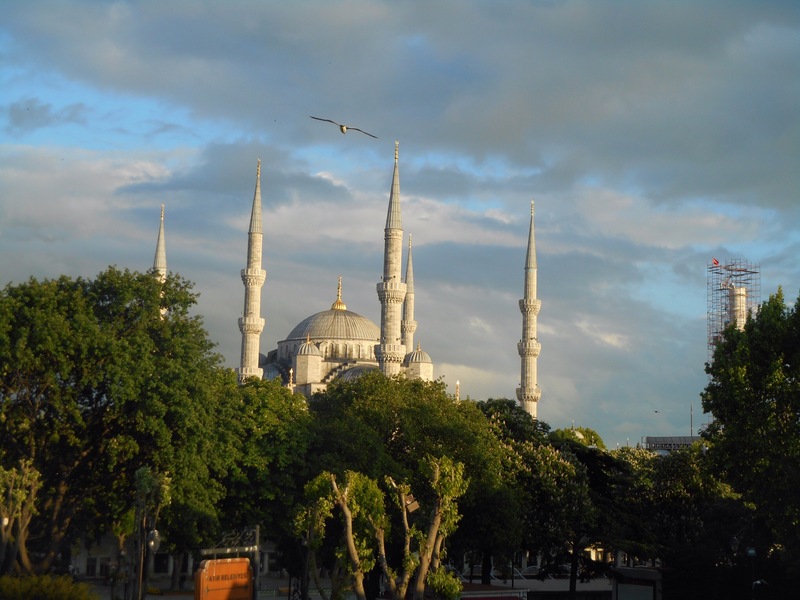 From the window, an incredible view of the blue mosque. I made my second visit to the blue mosque, this time it wasn’t closed for prayers and covering up with scarves for the hair, jumper and a borrowed floor length skirt, I removed my shoes and was allowed in. 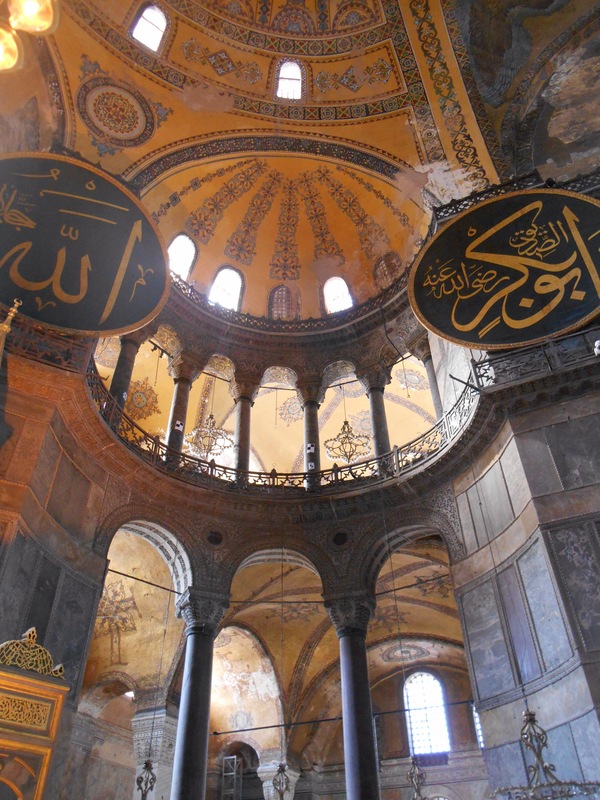 The vaulted ceilings were decorated intricately with patterns and writings. 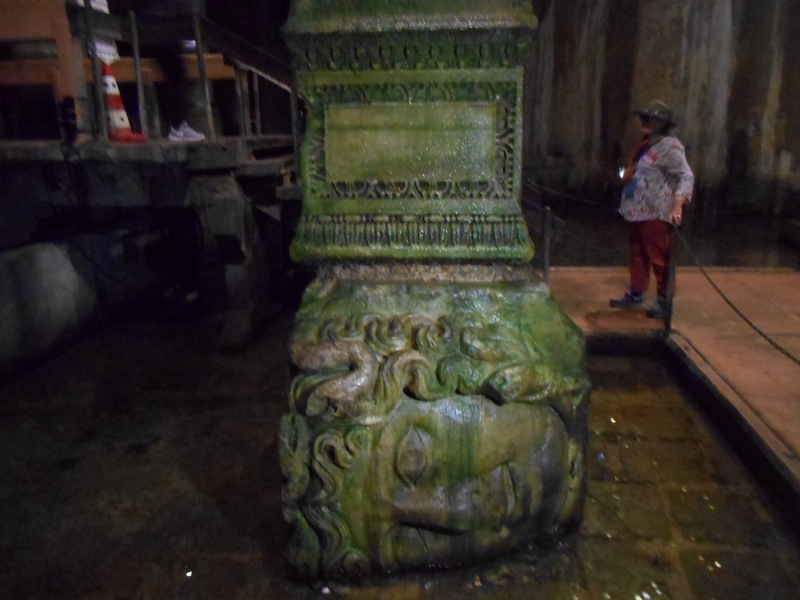 Now for more Roman history, I went into the basilica sistern, an underground aqueduct which would have supplied the cities water needs during Roman occupation. 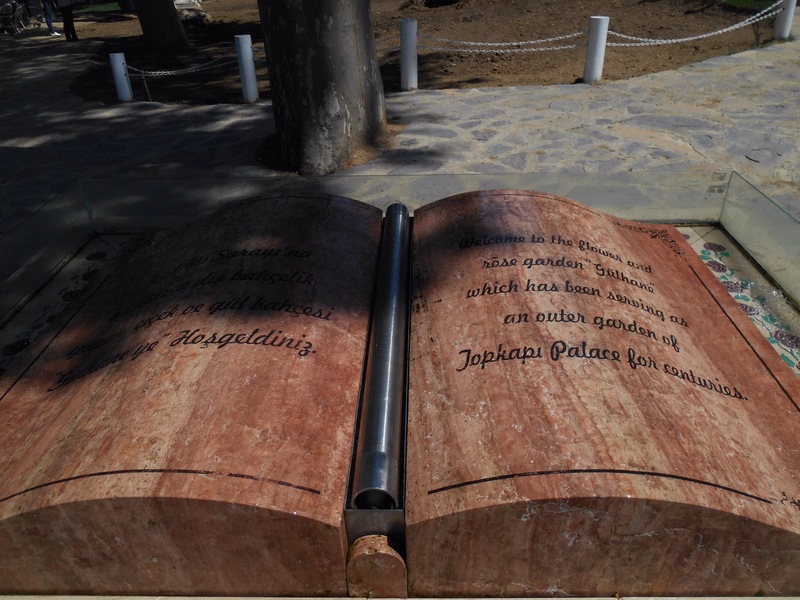 The water comes from 17km away and was certainly used to fill the Topkapi palace right up until the 16th century. When it was rediscovered in the 20th century it was cleaned and reopened, the almost underground palace now filled with water and fish. From Roman history to the more recent Ottoman Empire, the Topkapi palace sits looking out to the water, home of the sultans from 15th century. It’s large grounds is now partly a public park named Gulhame. I took a walk through the tree lined boulevards, now a place to memorialise significant figures old and new, as well as people making music and relaxing. Also nearby was the million stone. 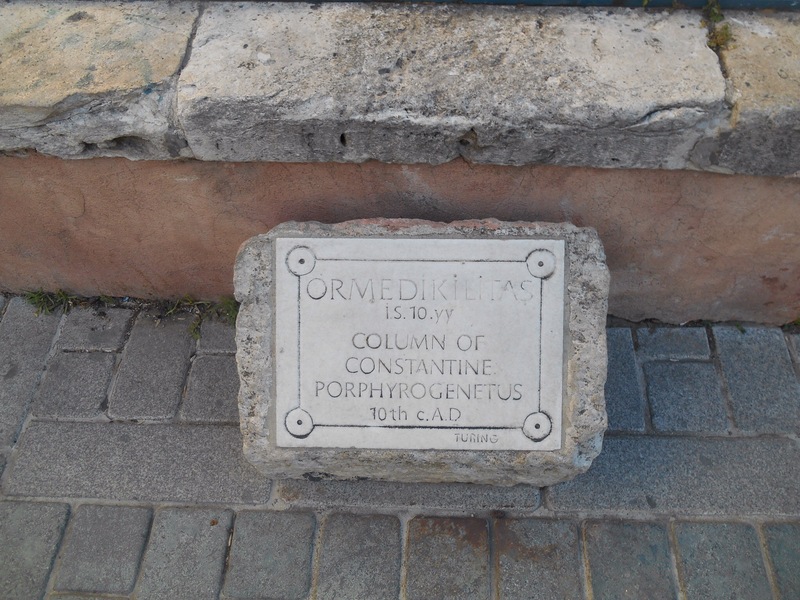 This marked the middle of the Roman Empire during the time of Constantine. 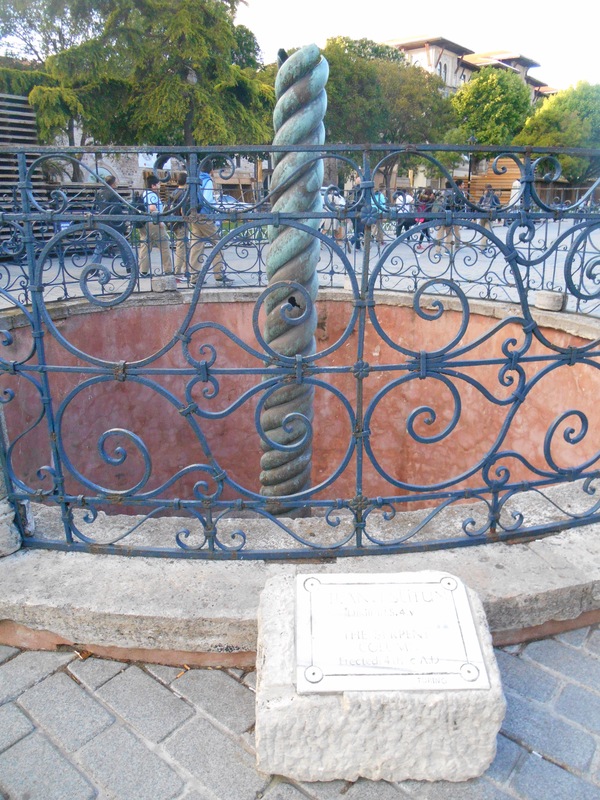 All distances were marked from this central point, literally the heart of the Roman world. 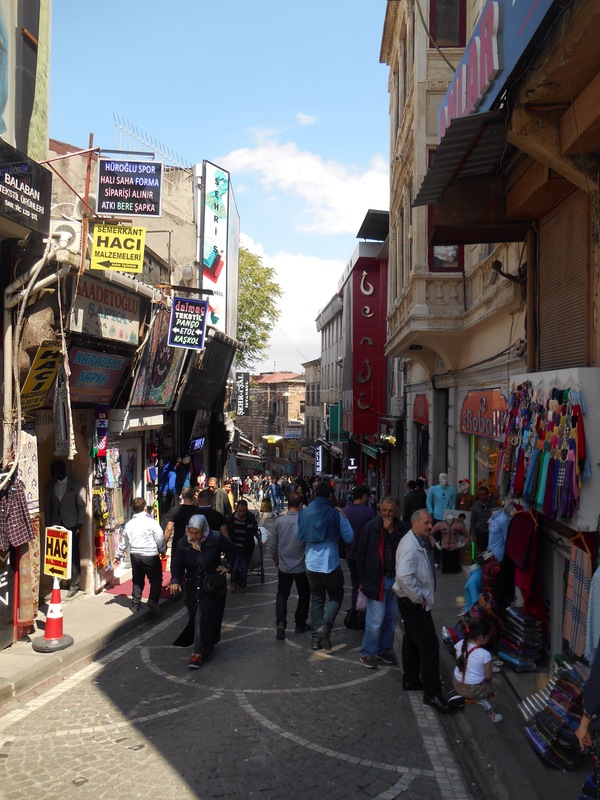 Far from relaxing, my next stop was the Grand Bazaar. Far more like the Istanbul I was imagining and the car chases from Taken, markets and restaurants spilled out on the streets. I was hungry but I daren’t even indicate so for the barrage of menus being thrust under your nose. After making three laps I walked straight up to my chosen spot, ordered coffee and then settled for a Turkish bagel, Sumit for lunch. I say settled, for one or two lira (20-30p) you could get a bagel smothered in cream cheese or Nutella from a small cart in the street everywhere. This solved a fair few hunger pangs as the prospect of finding something substantial was overwhelming with choice. Other carts cooked corn and chestnuts filling the air with fabulous food smells. 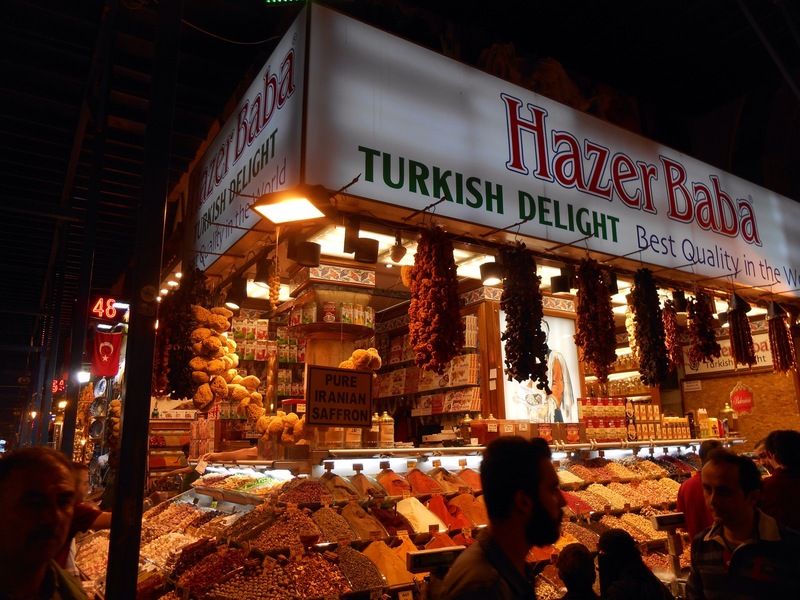 Again, the Grand Bazaar took me maybe 10 attempts. My friend at the hostel had warned me about getting lost inside the c riss crossing avenues. He said pick a direction and then zig zag. Not so easy as you dive bomb one way to avoid attention or look like you’re walking with a group to get a longer glance. It was fascinating though. 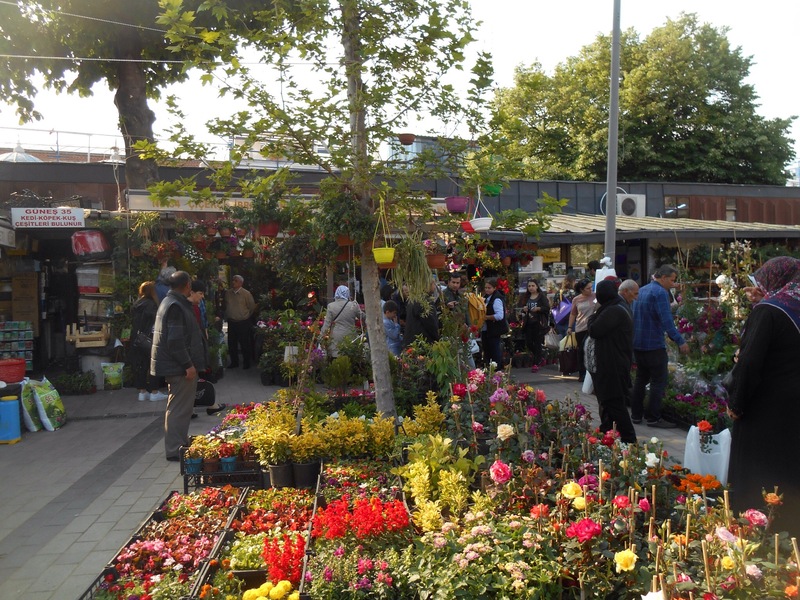 Firstly they were selling everything from spices and tea, jewellery and shoes and bags and purfumes, baklava and Turkish delight. It was beautiful and the choice was incredible. I loved the noise, the colour and the bustle of the bazaar and continued into the market streets beyond, winding right down the hill to the markets edge. I then crossed a large bridge to the Asian side of the city. Walking along that bank the stores supplied more local needs, tools and machinery. A little further along I was at the hubbub of the main bridge joining the two continents and I crossed back to Europe. The hustle and bustle not slowing between the two sides. I ducked into more networks of streets and market stalls. I was really feeling a stop and sought out a Turkish treat, baklava and Turkish coffee. The sweet pistachio treat was exactly the pick me up I needed while I sat people watching the crowds pass by. 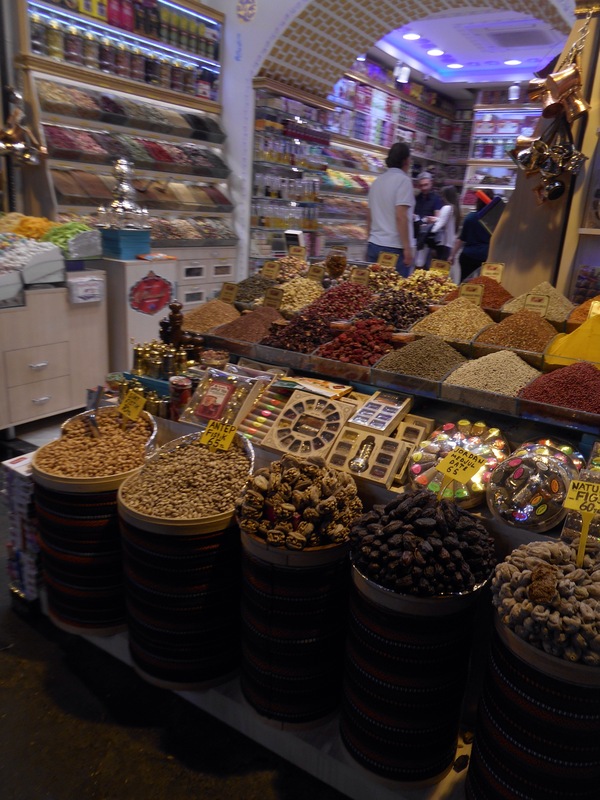 At the foot of the large mosque was an L shaped spice markets. 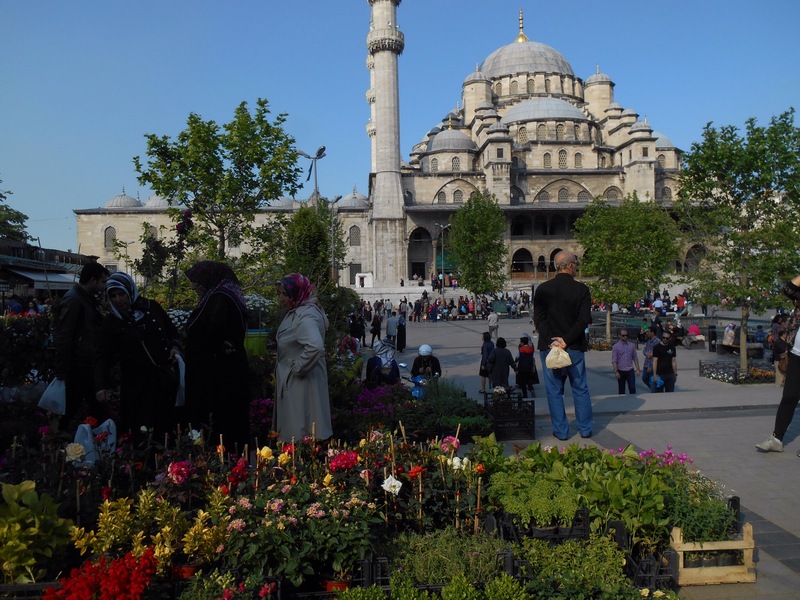 Whilst attracting tourists for the colours and smells, the herbs and spices were being sold to the local people, many people worshiping next door. 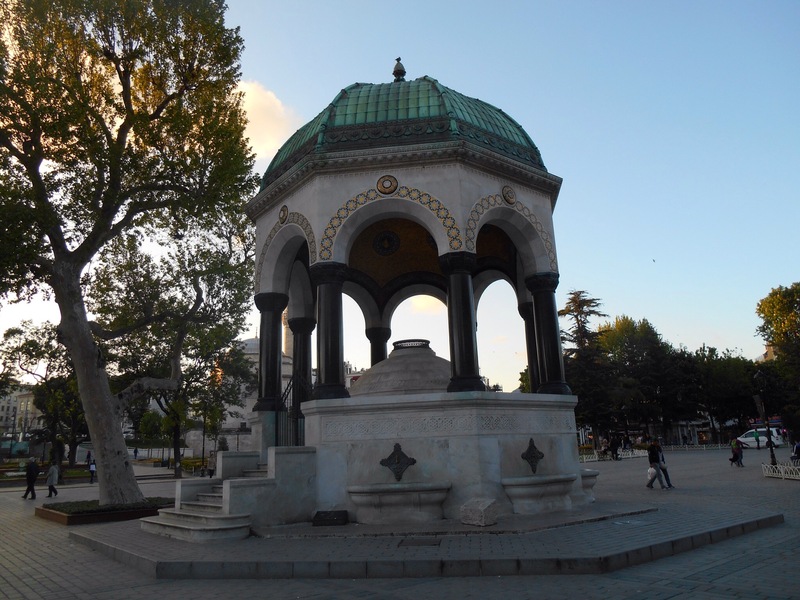 The square was filled as the afternoon call to prayer sounded from the minaret. 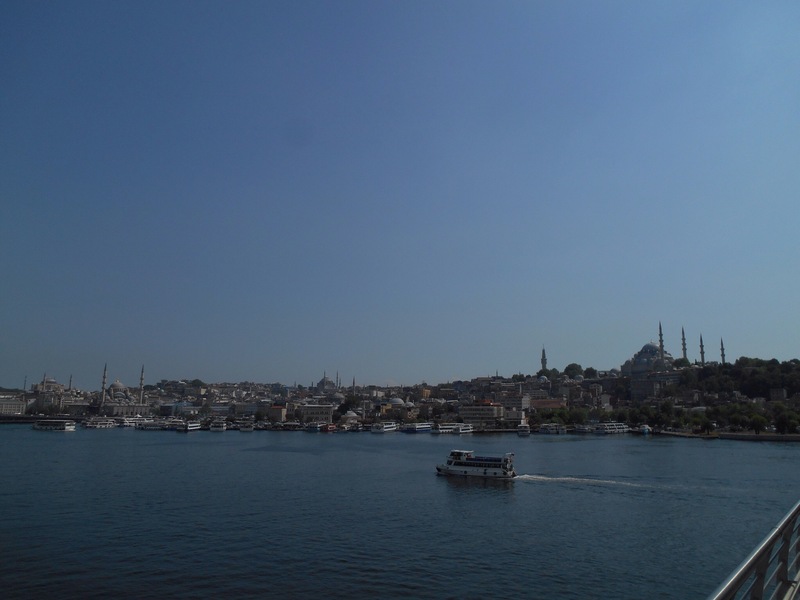 Something I was excited to do was cruise the Bosphorus between the two continents. I boarded a large boat at the waters edge as the evening air cooled, the sun slowly starting to sink in the sky. We passed first along the Asian side of the water passing many palaces built throughout the 1800’s by the sultans. At the second bridge after about 45 mins we turned to return back along the European side. Different layers of architecture lined the water and it was once again clear how sprawling this city was in population and years. 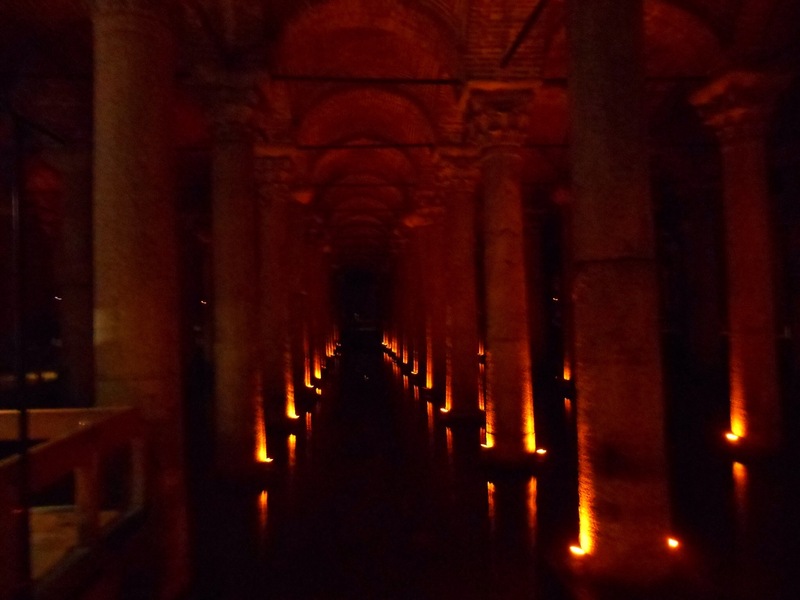 There was a floating cathedral dating an incredible 5000 years old. On the waters edge the fresh catches of fish attracted plenty of visitors. I caught the tram just around the corner to my hostel and had the only truly uncomfortable experience. A man standing near me kept staring at me, so without making eye contact I moved carriages. When he followed me and on a crowded tram kept pressing into me I did feel intimidated. Grateful for my stop, I quickly disappeared off into a group. 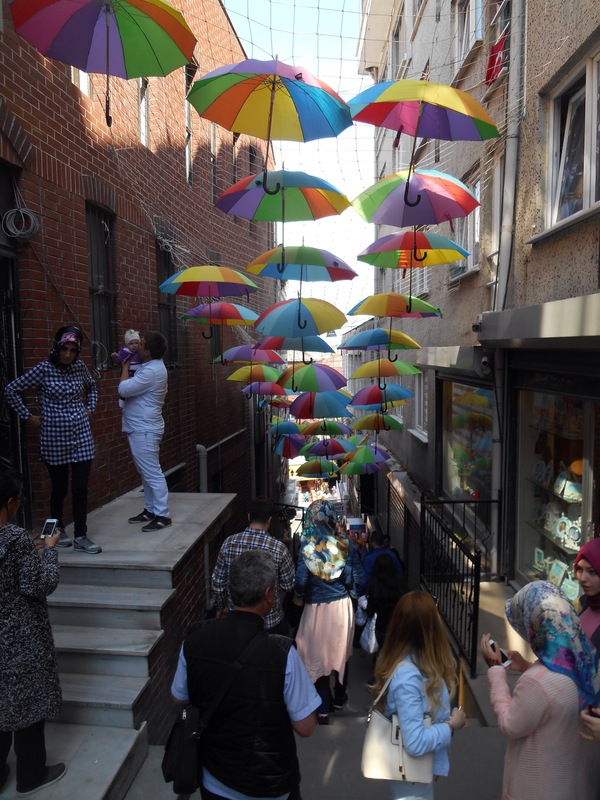 It was one situation and I felt in control most of my time in Istanbul, but also tired, an intense experience of declining questions, attention and sales pitches. It was nice to sit and chat with my roommates that evening and reflect on this historic, eclectic and sprawling city. It would never be enough time, as long as you could maintain the stamina. 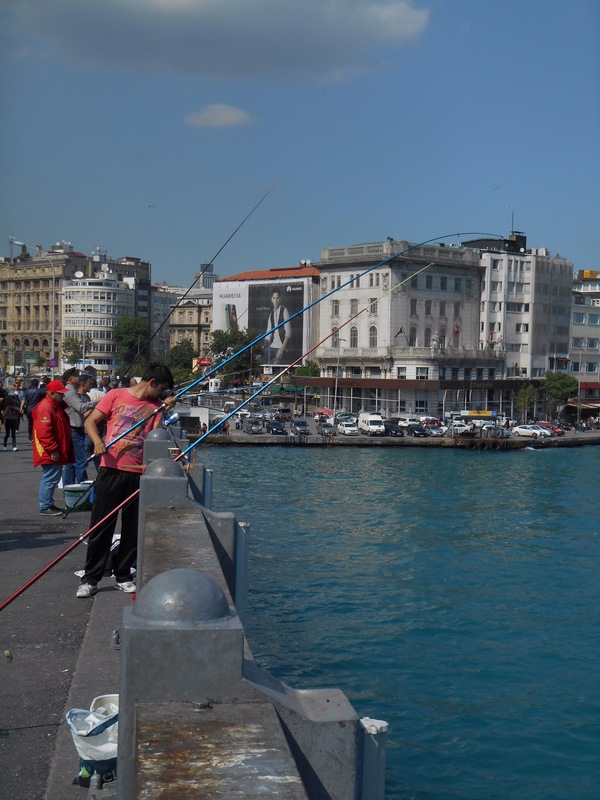 I felt intimidated in Istanbul and I was with a mate ! You was brave to do it on your own as the incident on the tram shows !mad place very full on and crazy drivers !